See here for this classic piece of Daily Mail journalism. In the course of a custody battle in Michigan a father has, according to his own attorney, threatened to harm the presiding judge and to bomb the county judicial building. Rather than getting custody, the father now faces custody himself. If he is convicted of the charges against him, he could receive a maximum prison sentence of 24 years. "I can't see why a man should have to give a woman money because he has lived with her for a while"
[Property rights for cohabitees] "would be a busy new field for lawyers"
"A woman who has never worked may be rewarded with a sum that most women will never see in a lifetime of salaried employment"
"I am afraid the message that goes out to young girls now is: "If you can't be a celebrity yourself, you had better find one to live with""
"The battered and abused babies reportedly are nearly always living with a single mother and a boyfriend who is not the father of the child"
"children are much less likely to suffer abuse if they stay in a stable, married family for their early years"
"the behaviour most likely to make society unhealthy, that damages these children more than anything else, is their father - it is usually the father - walking out and leaving them with no support"
"Fifty years ago, divorce was much more rare. So a woman could, with confidence, give up work, raise her children, knowing that it was extremely unlikely that she would be left"
"Cohabiting parents are five times more likely to break up before the child is eleven than married parents"
The big family law story of the week was, of course, Sir Nicholas Wall's speech to Families Need Fathers. I have already commented upon the speech, both in this post and in this week's LoreCast. I shall not therefore say any more here, but for an interesting view on the implications of the speech, see this post by Marilyn Stowe. Meanwhile, the leaked list of quangos currently under review includes a number that are of relevance to family justice, as Pink Tape points out. For example, the Human Fertilisation and Embryology Authority and the Legal Services Commission are apparently to be abolished, while CMEC, Cafcass and even the UK Supreme Court remain under review. The last one was a particular surprise, although the UK Human Rights Blog assures us that the highest appeal court in the land is not, in fact, for the chop. Elsewhere, the Law Society's judicial review of the legal aid tender has been heard, with judgment expected 'within days'. Good job it's going to be soon, as quite what would happen if the Legal Services Commission, the defendant in the proceedings, were abolished before judgment were given, I do not know. Lastly, something interesting actually happened at a political party conference when the Liberal Democrats passed a motion calling for "discriminatory" barriers to equal marriage rights to be removed. Whether they have the political clout to persuade their bedfellows in the coalition to support such a policy, however, seems unlikely. Are Separated Parents Information Programmes going to be made compulsory? According to a report in The Times yesterday, Separated Parents Information Programmes (PIPs) are to be made compulsory, as part of the Family Justice Review, 'with only funding and the extent of the compulsory element to be agreed'. Funding currently comes from Cafcass and, as we all know, the very future of Cafcass is under review, so quite where the money will come from if Cafcass is abolished, I have no idea. Perhaps they will set up another quango. Funding aside, the interesting point is just what 'compulsory' will mean. Will it, for example, mean that all parents wishing to apply for residence or contact orders must first attend a PIP? If so, there could be two hurdles to go through before issuing an application: mediation assessment and attending a PIP. Such extra barriers to court proceedings will doubtless be attractive, both to those who wish to discourage conflict, and to those who hold the purse strings. 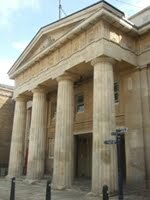 Meanwhile, Family Law Week reports that: "Following the criticism by Sir Nicholas Wall, President of the Family Division, of the damage caused by separating parents to their children through their ongoing contact and residence disputes, Cafcass has drawn attention to the assistance offered by court-ordered Separated Parents Information Programmes." Cafcass Chief Executive Anthony Douglas is quoted as saying that the courts are already "increasingly ordering that parents attend the programmes following recommendations from Cafcass workers" and that in a survey 59% of parents had indicated that their behaviour had changed as a result of attending. UPDATE: PIPs are certainly the thing of the moment. The Law Society Gazette now reports a surge in judges ordering them. "When 28-year-old Simon Hooper saw a £1,750 engagement ring he wanted for his long-term girlfriend but couldn’t afford, he swallowed it whilst the jeweller’s back was turned. 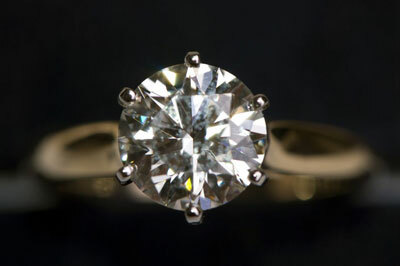 Dorchester police were unable to fathom the location of the ring until they ran a metal detector over his stomach. He was placed in a cell until nature – despite Hooper’s determined efforts to the contrary – took its course three days later." Quite what the jeweller did with the ring when it was returned is not explained. Sir Nicholas Wall is back in the news. In a speech to Families Need Fathers, the President attacked parents who use their children as 'ammunition' in separations, gave an indication of possible reform to private children law and issued a warning about the future of legal aid. That mothers and fathers should accept separation was “itself a serious failure of parenting” and work out how to minimise the damage. Harsh, but probably true. That separating parents "rarely behave reasonably". I'm not sure about that. This quotation may have been taken out of context, but most separating parents do behave reasonably, and are able to agree arrangements for their children, usually without going to court. It is only when there are contested court proceedings that they 'rarely behave reasonably'. That separating parents always believe that they are behaving reasonably, and that the other party is behaving unreasonably. 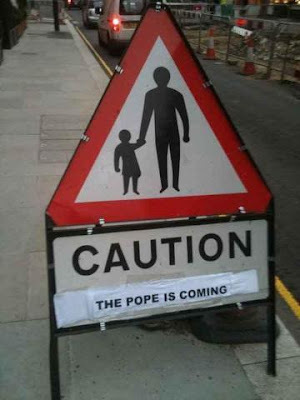 Yes, that is certainly true, subject to my proviso above. That in his experience "the more intelligent the parent, the more intractable the dispute". Yes, my experience indicated that there may be some truth in that. That disputes between the parties were rarely about the children concerned but rather parents "fighting over the battles of the relationship, and the children are both the battlefield, [and] the ammunition". Yep, been there, seen that. That: "Often the mother, who finds herself caring for the children, is able to use her power over them to deny the father contact." Check. That: "parents who spoke badly of their ex-partners in front of their children were only creating problems for themselves further down the line when they would eventually realise 'he or she is not the ogre which has been described'." I'm sure this is true too. Referring to the Family Justice Review, Sir Nicholas said that 'more rights for fathers are under serious consideration' (I'm not sure how you can do this whilst keeping the law 'gender-neutral'), and that one of the changes that may emerge from the Review is a presumption of shared residence for the children when a couple separate. However, he said that family court judges are divided on this issue, with some thinking that it recognises the increasingly important role of fathers, while others believe that it is too disruptive for children. With regard to legal aid, Sir Nicholas warned that, as part of the Review, "legal aid for private law proceedings is likely to be further diminished if not abolished". If it is abolished entirely, then I can foresee serious problems down the line. He points out that in future "out of court mediation and conciliation will be encouraged", with mediation assessment possibly becoming a precondition for instituting proceedings, but what happens if one parent refuses to submit to mediation? If that parent is the one 'in control' of the children (like the mother referred to above) and the other parent doesn't have the means to take the matter to court without legal aid, then what is the other parent to do? UPDATE: The speech is now available online (or perhaps it already was, and I missed it! 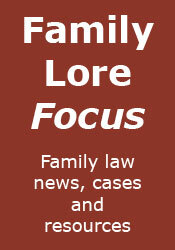 ), on the Family Law website, here. My thanks to Marilyn Stowe for pointing this out. As if there isn't enough to worry about these days with the recession and the legal aid tender debacle, solicitors are now facing what could be their biggest threat of all: ABS. The Gazette today reports a survey of more than 300 solicitors by law firm network Contact Law which unsurprisingly indicates a high level of anxiety among solicitors over the impact of the introduction of alternative business structures from October next year. Interestingly, it seems that family lawyers are not quite as apprehensive as other members of the profession, with only 22% saying that the reforms represented a 'high level of threat', and the same percentage classing it as a 'medium threat'. I think that Dan Watkins, director of Contact Law’s find-a-solicitor service, is right in suggesting that the most likely area of increased competition from ABSs is going to be uncontested divorce work, where solicitors already face stiff competition from cheap online services. The days of 'easy money' uncontested divorce work may well be numbered. As to whether ABSs will be able to eat into other areas of work such as children matters and ancillary relief, and as to whether the majority of family lawyers are being complacent to the threat, remains to be seen. Since The Times disappeared behind the great paywall of Murdoch, the Telegraph seems to have taken over the mantle of family justice system basher-in-chief (or at least that's how it appears to me - like most people, I have no idea what The Times is doing nowadays). In a nice balanced piece of writing yesterday columnist Christopher Booker tells a story that "highlights the ongoing scandal in our social services", in which for no apparent reason a mother is "robbed of her children and incarcerated alongside psychotics who were drugged to the eyeballs". Hard-hitting stuff, and a quick glance at the comments beneath confirms that this story of the evil state has stirred up the anti-system reaction that is was clearly seeking. Not content with that, the Telegraph stuck another knife in yesterday with an article by Alasdair Palmer, in which he claims that there "will be more cases like Baby P's until the child protection system is fixed". Clearly, the broken system is both taking children away from parents when it shouldn't, and not taking them away when it should, with there being no cases in the middle when the system actually gets it right. This is all I want to say on the subject. * The question of whether the court can make a contact order without making a residence order (story here). When I received Tax and Family Breakdown for review I was slightly surprised by the size of the book: 281 pages (although nearly half of those are appendices, more of which below) – it is generally considered that there is very little tax law that the family practitioner needs to know, and most general family law text books only devote a few pages to the subject. There are, however, traps for the unwary, particularly when it comes to capital gains tax. 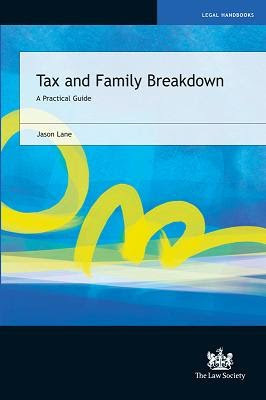 Certainly, some of the matters covered by the book do not seem particularly relevant to family breakdown, and sometimes the book does go into considerable detail, which begs the question whether a family lawyer requires such detail – should they not seek specialist tax advice for complex matters? The answer to that is clearly ‘yes’, and the book acknowledges this by specifically drawing the attention of the reader to those occasions when specialist advice should be sought – for example, when considering appropriate planning in connection with principal private residence relief. However, even if the book does go into detail beyond what an ‘average’ family lawyer may require, obviously a particular lawyer’s requirements will depend upon their clientele, for example where they commonly act for high net worth clients, or in matters with an international dimension. In such cases, any criticism of the depth of coverage becomes redundant. The book does not just comprise one chapter each on income tax, capital gains tax, inheritance tax and stamp duty, as one might expect. It does have chapters on most of those, but also deals with specific issues and situations, such as transfer of assets, maintenance, interests in land, pensions and life assurance (this chapter also includes a useful section on tax considerations when unlocking assets held by family companies, e.g. to fund a lump sum payment), the international dimension and valuation of assets. This format probably does make the book more practical, although there are occasions when one has to look in more than one place for all of the information on a particular subject. As mentioned above, the book also includes substantial appendices, although most of these comprise family law statutory provisions, of which the reader should obviously already be aware. Slightly more helpful is a Form E, complete with a few notes and references to the main text. Key concepts – set out at the beginning of each chapter or section. Checklists – at the end of each chapter, a particularly valuable aide memoir, setting out the main points covered in each chapter. Flow diagrams – such as one showing when the Revenue will treat a couple as having separated, for tax purposes. As, I suspect, with many family lawyers, this writer has not always found it easy to come to grips with the more complex taxation issues, but the author generally succeeds in describing them in a clear and coherent fashion. If I have to be critical of the writing, it can grate a little when the author discusses family law, but this is because he is not a lawyer, and in any event these occasions are few and far between. In conclusion, this is a very thorough summary of tax law for family practitioners, which even if more comprehensive than required will still be of considerable value in identifying and dealing with tax issues on family breakdown. Whilst obviously designed as a text book to be read, it is also a handy one-stop reference. My particular suggestion as to how it might be used is to read it and memorise the checklists, which will hopefully trigger the ‘warning-bell’ of a possible tax issue, whereupon go back to it as a reference and re-read the relevant section. Definitely recommended. Can the court make a contact order without making a residence order? There is a good article by Hayley Trim in Family Law today discussing this issue. The question arises from the judgment of Lord Justice Thorpe in Re S (A Child)  EWCA Civ 705, where he referred to the observation of Lord Justice Ward in Re B (A Child)  EWCA Civ 1968 that one cannot have a contact order without having first determined who the person is with whom a child lives, and extended this to read that a contact order cannot be made unless it can be attached to a residence order. I recall that when I read Re S I felt very uneasy about this proposition. After all, many is the time that I've seen courts make contact orders without making residence orders - was the court wrong on every such occasion? On the other hand, could Lord Justice Thorpe be wrong? Hayley Trim believes that he is, and I agree with her. Lord Justice Ward was merely stating the obvious point that before a contact order is made one must first determine with whom the child lives "because it is that person who has to allow the child to visit or stay with the applicant for the contact order", but that is not the same as saying that a residence order must be made in favour of that person. Just a quick heads-up for a section in the Guardian that may be of interest to readers. 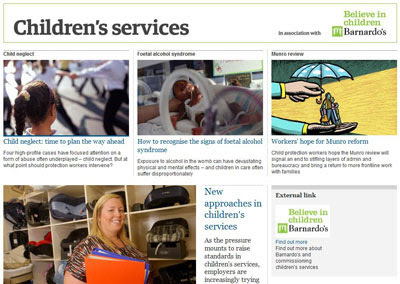 Children's Services 2010, which appears to be sponsored by Barnardo's, includes articles on child neglect and the Munro review. Nothing too deep but, as I say, may be of interest. That given the international element and the experience of the Judges of the Family Division in dealing with cases of this type, child abduction and other international cases, the best vehicle for these type of cases is wardship. That at the first (ex parte) hearing the making of a Tipstaff Passport order should be considered, to include that the tipstaff shall search for and seize the mother's passport where it is alleged that the father has taken it. That there should be a Court request for disclosure from the Home Office at the ex parte stage to ascertain the spouses' immigration status so that s/he can immediately make arrangements to obtain an expedited visa/transfer of an existing valid visa to a new passport, with the court including appropriate recitals in directions orders, to assist with that parent's visa application. That upon the return of the stranded parent there should be an urgent interlocutory hearing to consider further directions and the interim welfare arrangements for the child/children and the Court's managed reunification of the stranded parent and his/her child. Hopefully, the guidance will help minimise the damage done in these cases, and expedite their satisfactory conclusion. I wrote a post a few months back about 'alienation of affection', the lawsuit available in some American states. To recap, alienation of affection is a tort action that may be brought by a spouse against a third party who they believe is responsible for the breakdown of their marriage, most commonly used where the third party is alleged to have had an adulterous relationship with the other spouse. The Telegraph yesterday carried a story about a wife in North Carolina who has successfully sued a (no doubt former) close friend for 'stealing' her husband, and has been awarded £3.7 million in compensation, the second highest ever award by a court in the US under the alienation of affection law, after the award mentioned in my earlier post (also made by a North Carolina court). The award was apparently based upon the amount of money the wife would have earned if she had remained married to her husband, although why she won't now earn that sum and why any such loss was not taken into account in the divorce settlement is not explained. The wife may not, however, be laughing all the way to the bank, as the friend lives in Maryland, and the judgement can’t be enforced in another state. 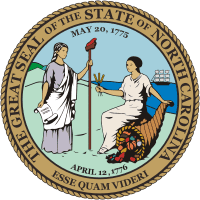 The 'friend' may therefore never have to pay the money, which makes the whole exercise fairly pointless save, I suppose, for ensuring that the 'friend' never returns to North Carolina. In fact, as the wife's lawyer said, if you're seeking an affair (does anyone 'seek' an affair? ), you should avoid going to North Carolina. Of course, if you're a lawyer specialising in alienation of affection claims, then North Carolina is clearly the place to be. There seems to be no end of research studies into families and relationship breakdown. The latest, reported by the Daily Mail today, suggests that wives who consistently earn more than their husbands are up to 38% more likely to divorce than those who do not. Suggested reasons for this include 'wounded' pride on the part of the husbands, increased work hours on the part of the wives, and financially independent wives finding it easier to get out of unhappy marriages. Quite what we are supposed to do with this information, I am not sure. Moving on, I've seen it said before but it is worth repeating: there is no 'honour' in honour killing, a point made by Penny Booth in her column for Family Law today, referring (I believe) to the Shafilea Ahmed case that I mentioned here as long ago as January 2008 (and which is still being investigated). Of honour killing she says: "This is simply murder, and conferring ‘honour killing' upon these activities merely shows that we are cloaking with the respect of religion a murderous action which deprives another human being of life for no reason that could be good or honourable." Well said, although no doubt the term will continue to be used. Lastly, the Independent today tells us that one sixth of Britons have a bank account that they keep secret from their partner, according to a survey commissioned by the Post Office. The director of financial services at the Post Office is quoted as saying: "While people have secret savings accounts for many different reasons, it's wise to be open and honest about money with loved ones to avoid strained relationships." Good advice, but if the strain reaches breaking point I wonder how many of these accounts will be disclosed in that party's Form E? Over the weekend I reported on Family Lore News the story in The Observer that more than 40% of domestic violence victims are male, according to a study by equal rights campaign group Parity. The study, Domestic Violence: The Male Perspective, can be found on Parity's website, in PDF format, here. Mentioned in the story are Mark Brooks, a representative from the Mankind Initiative, a national charity that provides help and support for male victims of domestic abuse and domestic violence, and Ian McNicholl, a male victim of domestic violence. Both were interviewed by BBC Breakfast this morning. It is obviously good that this serious issue is at last beginning to get the publicity it deserves. 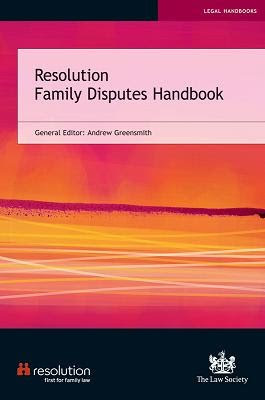 The Resolution Family Disputes Handbook sets out to provide ‘an authoritative guide to offering non-court based solutions’ to family disputes. Written by Resolution’s ADR committee, it comprises 16 chapters (not the 19 stated on The Law Society’s website), covering the various alternatives to court (primarily mediation and collaborative law), and a number of related issues. Chapter 1 – Unresolved conflict: A brief chapter discussing the nature of family conflict, and its effects. Chapter 2 – Principles and values: A discussion of the philosophy behind ADR. Chapter 3 – Options: Sets out and compares the various options available for family dispute resolution. Chapter 4 – Mediation: Covers the principles and procedure of mediation. Chapter 5 – The collaborative process: Ditto, in respect collaborative law. Chapter 6 – Developing the mediation model: An exploration of different models of mediation. Chapter 7 – Assembling the dispute resolution team: Considers the other professionals that may be involved in the dispute resolution, such as counsel, IFAs and family consultants. Chapter 8 – Funding: How mediation and collaborative law may be funded. Chapter 9 – Start-up: Looks at the arrangements for preparing for and conducting the first mediation session, and for starting out on the collaborative law process. Practical, although a little basic in parts (e.g. 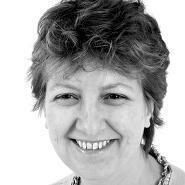 advising mediators to smile when they greet the parties!). Chapter 10 – Disclosure: A short chapter dealing with the issue of disclosure, as it relates to the mediation and collaborative processes. Chapter 11 – Closure: A practical look at the closure stage of the ADR process, both from a legal and an emotional perspective. Chapter 12 – Prenuptial and postnuptial agreements: Suddenly, some case law, followed by using the collaborative process to prepare such agreements. Chapter 13 – International disputes: A fairly brief discussion of the international dimension to alternative dispute resolution. Chapter 14 – Privilege: The law on privilege, as it relates to ADR. Chapter 15 – Support structures: A useful chapter discussing the various support services available to lawyers generally, to Resolution members and to ADR lawyers. Chapter 16 – What next? A look at the future, where ADR may no longer be ‘alternative’, but mainstream. Appendices – Including a ‘top 10 tips for mediators and collaborative practitioners’, a list of further reading, a list of resources on the Resolution website (including precedents) and the text of a talk ‘Visions of excellence’, given by mediation pioneer Henry Brown to the Resolution ADR conference in 2006. I am not a mediator or collaborative lawyer, but it appears to me that this book covers every topic that a handbook on family ADR should do. Certainly, I cannot think of any obvious omissions and, if anything, it could be said to go beyond the required scope, for example when it discusses the case law on pre- and post- nuptial agreements. Clearly, there is an enthusiasm for the subject (that I have come across previously in mediators and collaborative lawyers), but this can lead to such over-exuberances as comparing mediation to jazz (!) and describing two of its qualities as ‘genius and art’. On the subject of (over) enthusiasm, there were one or two instances in the book where I felt that the writers perhaps promise too much from the particular ADR process that they are discussing, for example stating that collaborative law clients “are already each better off” than they would be if they went down the court route. Would this not depend upon how successful the process is? Still, I suspect that the likely reader of this book will also be passionate about ADR, and will not therefore object to the odd overstatement. Which brings me to my last point: who exactly is this book intended for? Obviously, for those involved in ADR (calling itself a ‘guide to best practice’ suggests this) but it also provides an excellent introduction for those contemplating offering a family ADR service. Despite my reservations mentioned above, the book has taught me a great deal about the subject, not to mention a number of items that are useful to any family lawyer. The Telegraph yesterday reported the case of a mother who is facing extradition to America charged with child kidnapping, having 'fled to Britain with her three children more than a decade ago to escape a failed marriage'. Now, I don't want to comment upon the case (there is not enough information regarding the circumstances surrounding the 'kidnapping', and I am not qualified to comment upon the extradition aspect), so much as the report itself, which is clearly sympathetic towards the mother. There could, however, be another side to the story: of a father who wrongfully had his children taken away from him, and of children who were denied a relationship with their father. Like all good news sources (see, for example, here and here), I am bound to report that the decree nisi in the case of The Nation's Sweetheart v Cashley Cole is due to be pronounced in the Principal Registry this morning. Contrary to what is stated in The Telegraph, this will not, of course, bring their acrimonious marriage to an end - we shall all have to wait for the decree absolute to do that. Further to this post, Nearly Legal now reports that the LSC has changed the answer to the question on its FAQ asking what a successful applicant should do if they are not able to deliver all the matter starts that they have been allocated. The new answer begins: "You will be required to deliver both the volume and breadth of services for which you have successfully tendered and been allocated matter starts in accordance with your bid and ranking", but goes on to say: "However, as part of the verification process the LSC is giving successful applicants who are concerned that they will not be able to deliver the volume allocated to them an opportunity to review their allocation and request a reduction". Meanwhile, in the Gazette today, Law Society President Linda Lee explains why the Society had to issue formal proceedings over the family legal tender. My Post of the Month for August is WHY CARE? by Lucy Reed at Pink Tape. The post is a reaction to the proposition (raised in an oral evidence session for the Family Justice Review) "that in our search [for] efficiency we need to seriously scrutinise whether or not there is a need for judicial sanction along the whole process we currently know as ‘care proceedings’" (see this post). "It’s about proper limitation of the powers of the state – the most draconian of powers that the state has are to imprison us and to take away our children. If those powers are not routinely subject to the scrutiny of an independent court what is left?"